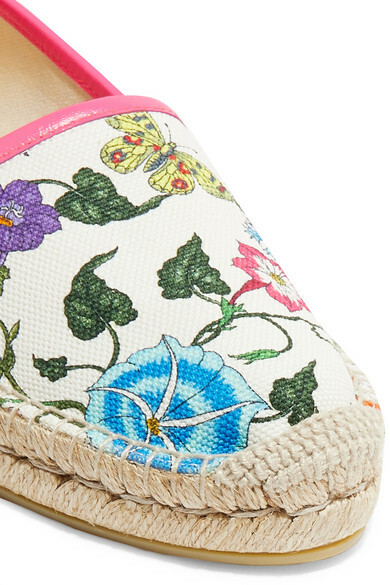 Whether you're sightseeing or headed down to the pool, Gucci's espadrilles are the perfect choice for your vacation. 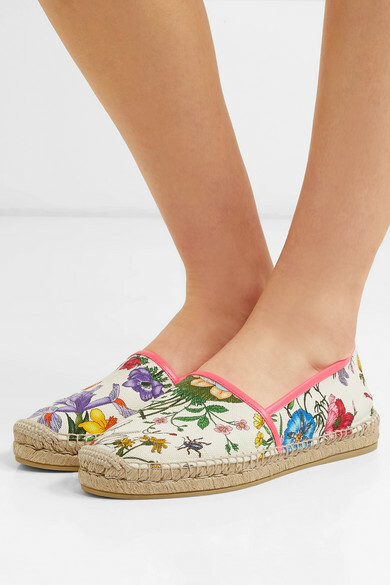 Set on a thick jute sole, they are made from off-white canvas printed with vibrant wildflowers. 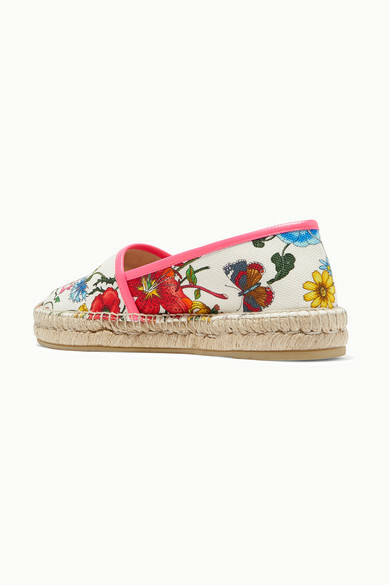 The neon-pink leather trims are a quirky touch. Shown here with: Etro Top, Goldsign Jeans, Carolina Santo Domingo Tote, Alighieri Necklace, Ariana Boussard-Reifel Earrings.